These are very good, inexpensive, well designed brakes, and for a cantilever brake easy to set up. Performance with Salmon Kool Stops is equivalent to a V Brake set up. I use these on a 1990s 531 steel framed bike which has a narrow fork crown. I have tried a number of different cantilever brakes on this frame over the years, and nothing I've tried is as good. It's well worth considering buying the Tacx Brake Shoe Tuner TL4580 to get the best set up. Do these include the straddle wire? Thank you for your enquiry, we can confirm that this item does include the straddle wire. 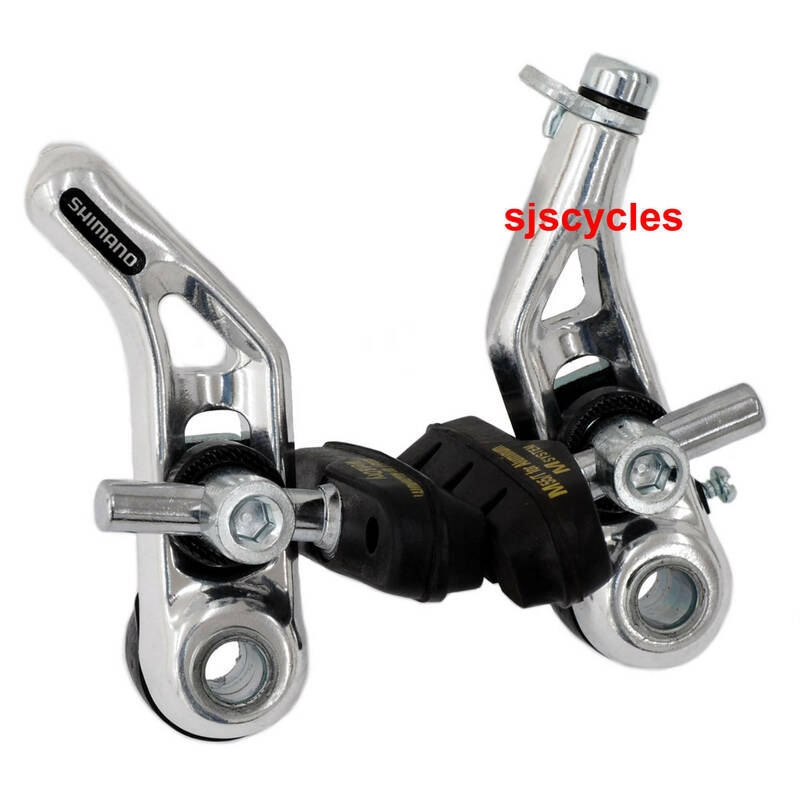 Can I replace Shimano Altus BR-CT90 brakes with these CT91 brakes as a straight swop? Thanks! Yes these should be fine to swap for! How much vertical adjustment there is for the distance between the cantilever pivot and the brake block stem? What is the maximum length for this measurement? This brake has 10mm of adjustment from a length of 22mm to a maximum length of 32mm.